Classic Joni, classic Cavett. Joni’s manager told her to skip Woodstock so she’d be fresh for this appearance. Thank you, Fran, for sharing this definitive performance! 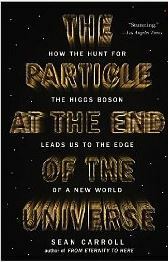 If you enjoy books on science written for a general audience, this one is likely worth your time. Carroll writes in clear accessible prose with a touch of humor. He describes how the Large Hadron Collider was built, how it works, and what it does. He discusses other colliders and accelerators, including SLAC up the road from me and the recently retired one at Fermilab in the Midwest. He also discusses why the Superconducting Super Collider was never built. Without the Higgs, there wouldn’t be atoms, there would just be a bunch of particles zooming separately through the universe. I guess that’s kind of important. If you’re a book lover you know what a remainder is. It’s a hardcover book where the publisher has ordered too many copies, and there are still a bunch left over when the book stops selling or comes out in paperback. They are purchased by third party companies that specialize in such books and sold to the public at a fraction of their cover price. I’ve always loved remainders. In my B. Dalton days I was always buying them. More recently here in Gilroy I’ve never been much impressed by the selection at our local Barnes and Noble, but there’s always the mail order houses. My favorite is Daedalus Books, which specializes in more serious and specialty non-fiction and more literary fiction. It’s fun to place an order and get five or six hardcovers for the price of maybe two at list price. I now read books in Kindle format, and in the e-book world there is no real concept of remainder. 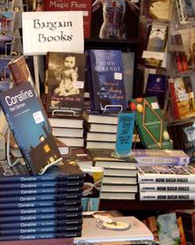 There are various forms of discounting of many titles, but it’s not quite the same. I love reading books on the Kindle app on my iPad, but I’ll always have a special appreciation for remainders. I spent many years trying to get my personal periodontal house in order. Having done so I have worked hard to maintain that equilibrium. I was very unhappy, then, when the maker of the proxa brush I have long used was purchased by a multinational. First they pulled the handle-and-refill system I have used so successfully off store shelves and from drugstore.com. I had to order online directly from them. Then a few months ago they discontinued the product altogether. I was seriously ticked off. It’s not like there is a wide variety of manufacturers for this kind of thing. I tried a few different products that the company had sent me — at least they were kind enough to send free samples. I settled on a small, re-usable brush with an angled handle. It seemed to work well, but I wouldn’t know for sure, of course, until I saw my dental hygienist. I saw her for my usual visit last week. She said I was doing a really great job of maintaining things. She didn’t even ask me about my routine, which she has almost always done. My dentist said the same thing. They only asked to confirm that I was using an electric toothbrush, which, of course, I am. I didn’t even get to complain about my long-time product being discontinued and having to find something new. The new product is obviously working better than I had expected, and, it seems, also better than my old trusted product. On my birthday weekend, Terry and I visited the San Jose Museum of Art to see the Annie Leibovitz exhibit. One of the other exhibits, however, caught my attention. It was photographs of the American West by Doug Hall. It was dominated by a big-screen video of the Golden Gate Bridge and the ship traffic going beneath it, and he had some amazing portraits, but what really caught my attention were two images: one of crowds of people at Glacier Point in Yosemite and the other of crowds of people at Mt. Rushmore. I have never been to Mt. Rushmore, but Terry and I have been to Yosemite several times, and on our most recent visit we took the tour to Glacier Point. My photos there removed the crowds to the degree possible. Cropping in Photoshop helped complete the task. I spend a lot less time and energy on photography now than I once did, but that has always been my approach: capture the beauty, remove the crowds. It struck me, looking at Hall’s photos, that in my photography I have violated the very principles of capturing reality I have criticized nonfiction writers for violating. Yet had I captured the scene as I actually experienced it, the photo would be less pleasing and less aesthetically enjoyable. But if that is acceptable in photography does it become acceptable in nonfiction writing? I was disappointed in this book. I heard the author interviewed on Science Friday and was interested in his work in tracking and cataloging birds. Indeed, I did enjoy those parts of the book. The problem is that was not enough of the book. I got tired of reading about his interactions with his wacko once and not-really-future girlfriend, and his risk-filled antics in high school. I did enjoy his reminisces of his college and post-college days, however. This passage hit a little too close to home. In addition to the students and faculty, Bloomington supported a huge colony of people who never moved on— whose ambitions after graduation were no match for the town’s coffee shops, ethnic clothing boutiques, assorted Thai restaurants, and live music . So they hung around in underpaid or part-time jobs (standing behind the counter at a secondhand bookstore springs to mind) and they made every line at every bar in town that much longer. Given my Claremont cockroach days and my tenure at B. Dalton, I did relate. I do recall those days with the best of memories.